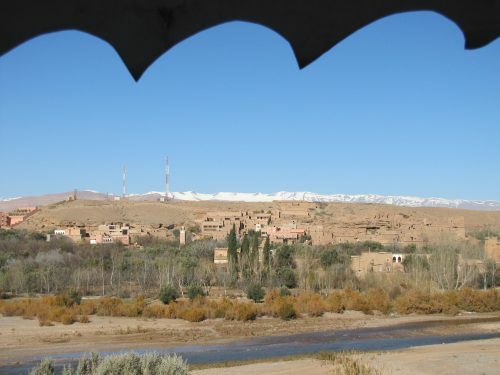 On our last morning in the Dades Valley on our tour of Morocco, we had a wonderful treat for breakfast. 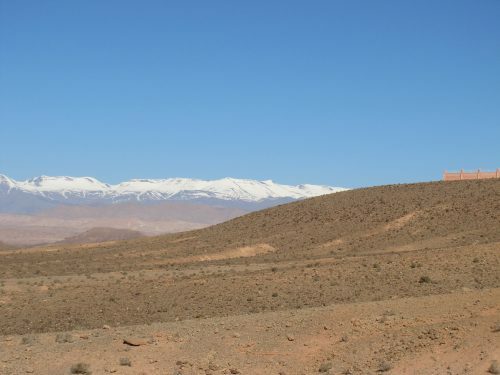 Our tour guide was up early, scouring nearby farms for enough eggs to make us a genuine Berber omelette. Genuine or not, it was delicious, made even more palatable by the alleged effort made to procure the ingredients. I am not a great fan of omelettes at the best of times, but this treat was far superior to any other omelette I had ever tasted. It was followed by a delicious pancake. While on our trip through Morocco I discovered that I had a palate that was far more adventurous than I thought. I was actually looking forward to experiencing the many tastes of Morocco as well as the scenery, the people and of course, the architecture. I was not disappointed on this trip – and we still had Spain ahead of us on this trip. After our long walk along the Dades Valley the day before, we were pleased that the next day was mainly occupied in transit while sitting on the bus. When we left the Dades valley we drove along the Roses Valley, so-called due to the plentiful rose plants surrounding many of the fields. Locally, rose water and perfumes are made and sold at many outlets. At one of our stops, even my wife succumbed to lure of these local delights. We travelled the Road of a Thousand Kasbahs towards the town of Skoura. 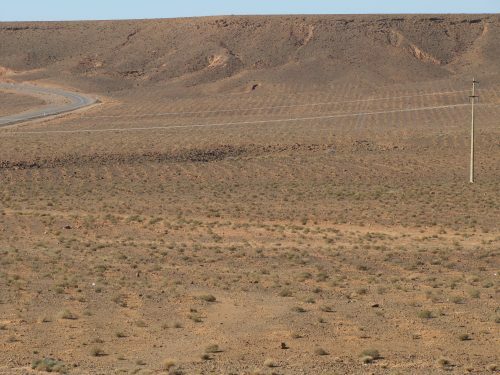 Along the way, we passed through some desolate country which is shown in the photos on today’s post (see below). 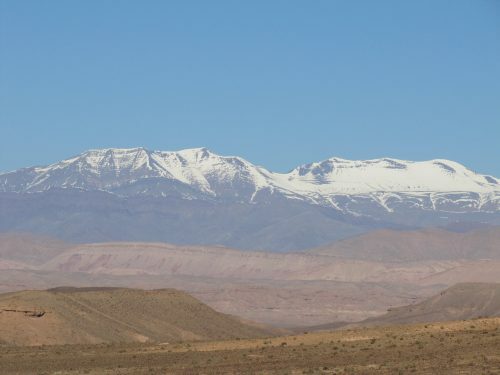 At certain points, we had distant views of the snow-capped Atlas Mountains, a spectacular range we would traverse later in our tour. 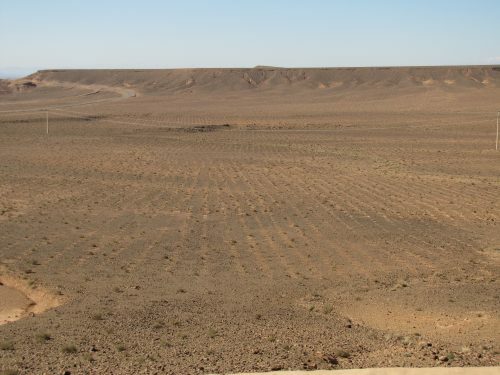 In the desolate areas, there were wide expanses of stony country and from time to time we passed a few hardy nomadic Berbers following their traditional ways. At one point, our guide astounded us by a little piece of Australia on the roadside. Several thousand hectares of the desolate land had been planted with Australian saltbush in the 1990s. This was supposed to provide extra food for the sheep and goats of the local shepherds. The plantations were abandoned after protests from the local people, but there is still some evidence on the plantations (see photos below).